A smallmouth fishery so underrated in the past only the Bassmasters, FLW Outdoors and surrounding locals really knew how good the fishing was. 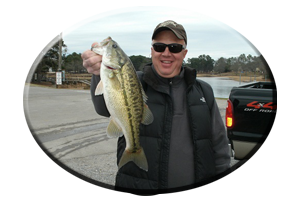 Buy now the word is out on Pickwick Lake, its an excellent bass fishery year round. This 47,500 acre lake has loads of pre-spawn spots for anglers to target when searching for both smallmouth bass and largemouth bass in the spring season. With lake levels still down for winter pool navigation can be hazardous in March, so exercise extreme caution when navigating Pickwick Lake. Study a map (www.fishinghotspots.com) and use your depth finder when exploring this lake in March. Just below Wilson Dam at the lakes headwaters is some of the best smallmouth bass water to be found in the south. As waters begin to warm up in March bass will gather here to feed and then they begin looking for slack water areas to bed in. As below all Tennessee River Lake dams, the current is often swift and dangerous. Wearing life jackets is a must, for all boat occupants, when fishing below any of these Lake headwater dams. Boating within 800 yards of the dam, it’s the law. Wear em’, it could just save your life. Drifting with live bait is popular and this method takes many trophy smallmouth bass during March, or any time. Live bait, fools “anything” into biting and there are numbers of fish species to be found below these Tennessee River dams. Artificial lures can often mop up for anglers fishing below these dams. March shows a lot of suspended bass hitting both floating and suspending jerkbaits during the entire month. Lures like the original Long-A Bombers now featuring the, “Tim Horton Signature Series” or Excalibur’s suspending minnows and others on today’s varied lure market are all good. 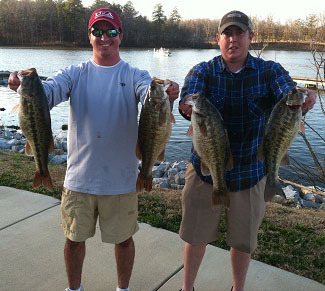 Jerkbaits utilizing a very slow, stop and go action, but very erratic retrieve will fool these early spring season bass. As waters warm in the spring, speed up your retrieve on these lures. 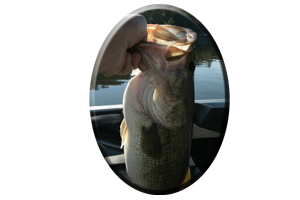 Always try to cover water fast and always keep an eye open for any surfacing or schooling bass. They will also rise to a well placed topwater lure, but be fast, for at times these fish of all species are gone as fast they appeared. Creek fishing in March on Pickwick lake shows less water to explore, with low lake levels. But many nice smallmouth and largemouth bass are still taken in March in and around major creek mouths, along main lake points and near the lake headwaters in deeper creeks. Creeks and backwaters such as Little Cypress Creek, Spring Creek, Coffee Slough, Sinking Creek, Dry Creek and Little Bear Creek, all deserve a little exploring…with caution, when navigating in low water. * The lake will be returned to full pool by the end of April. April on Pickwick Lake will show some major changes. Lake levels slowly returning to full pool and several things affecting the movement of bass, take place all throughout the lake. Slightly stained water or muddy water conditions from spring rains, warming water near 70 degrees, new grass of several varieties, and bass of all species bedding or preparing to bed, will take place. Its all according to April’s unpredictable conditions. Below Cane Creek as you pass the Natchez Trace Parkway Bridge heading downstream, the lake will take on more of a river-like appearance, featuring smaller feeder creeks and more visible cuts and small pockets. These out-of-the current spots all have weeds, stump rows, blown down trees, rocky banks and some have excellent spots for both bedding smallmouth bass and some huge largemouth’s, some in the 10 pound class. Secondary points, humps, bars, old underwater Indian mounds, ridges and submerged islands, all hold trophy bass, mostly neglected by the bank-beating anglers in the spring season. 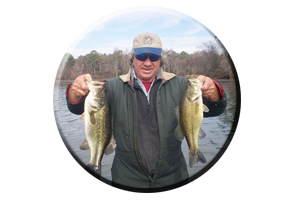 Check out Little Cypress Creek, Dry Creek, Little Bear Creek and around Seven Mile island, when fishing very shallow in April on Pickwick Lake. On Pickwick lakes lower end, many creeks go unnoticed due to more upriver fishing activity. 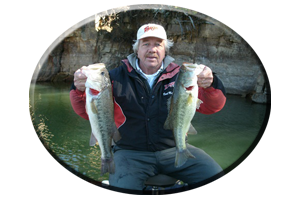 Still, there is a well kept secret about excellent springtime bassin’ in such creeks as Bear Creek, Second Creek, Yellow Creek, Panther Creek and Indian Creek, all found on Pickwick Lakes lower end. Clearer and much deeper water on this lower end of the lake, heats up slower than shallow, stained water. On these lower lake region there are a lot of bass still bedding in late April, while Pickwick lake’s upriver bass may be in a post-spawn mode. From massive Pickwick Lakes upper lake headwaters, to the lower lakes deeper creeks, the fishing is exceptional for smallmouth bass, spotted bass and largemouth bass in May. May is often noted as “the” topwater month. But on Pickwick Lake, May also shows bass holding in areas that brought them shallow a few months ago, as they leave the shallow water and head back to deeper water, usually around the first week of June. * During these transition times try fishing midlake areas, far back up in creeks, or midways, around first and secondary creek points. Fish with deep-diving crankbaits like Excalibur’s Fat Free Shad deep diving crankbaits, using both mid-to-deep running model’s. Crankbaits in baby bass, shad, bream or crayfish colors are also excellent lures as are shallow to mid range crankbaits. Jerkbaits always generate a few strikes from all species of bass during May. Some bass, suspending away from the bank, will nail jerkbaits fished with a fast, erratic retrieve. These injured-baitfish imitating lures fool big bass that ignore other slower moving lures. These anxious and hungry fish can be enticed with fast, erratic stop-and-go retrieves. Try Trilene Big Game 10-15 lb. test fluorocarbon line or monofilament line on these jerkbaits, along with other floating model jerkbaits. Storm’s Suspend Dots and Suspend Strips will make floating model jerk bait lures suspend. Experiment, for every lure takes different amounts of added weight to attain perfect suspending qualities. Pickwick lakes lower end has lots of aquatic grass and in the spring, like on other Tennessee River lakes, lure choice for fishing these aquatic weeds can vary. 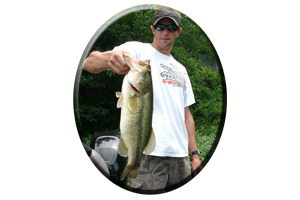 Buzzbaits, spinnerbaits, shallow-running crankbaits, lipless lures like Rattletraps, or Cordell’s Spots, also try brightly colored floating worms, lizards, soft jerkbaits, frogs and rats. All of these lures can all bring surprising results. But only if you have them tied on and give them a chance. Try these lures and other lure choices in and around the many varieties of grass that bass call home on Pickwick Lake this spring season.